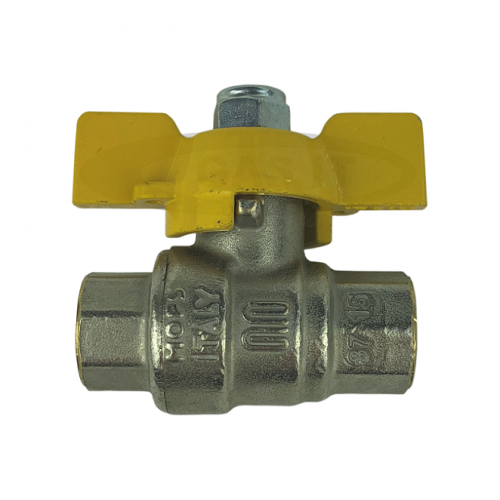 1/4'' Ball Valve BSP FEM x BSP FEM 'T' Handle - GAS IT Leisure Gas Bottles, Gas Cylincers and Gas Tanks - Catering, Motorhome, Campervan, Caravan, Farrier and Road Repair Refillable Gas Solutions. This high quality T handle shut off valve is compatible with gas, water, and other liquids to high pressures of over 800 PSI. The valve comes with Female 1/4'' BSPF at both ends and using other GAS IT outlet adaptors will go to many pipe sizes.